Piso Fare 2019 Promos Until 2020: More Flights From Clark! Piso Fare Promo 2017: #CEBNews: We're adding more flights from Clark, starting December 16, 2016! Flight frequencies between Clark and Cebu go up from 3x to 6x weekly. Meanwhile, flight frequencies between Clark and Hong Kong are increased from 7x to 10x weekly. 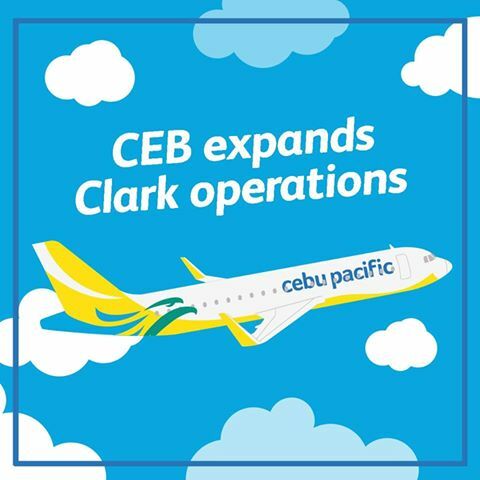 “As one of CEB’s six strategic hubs in the country, CEB will continue to grow Clark to serve the needs of North and Central Luzon. The additional frequencies and further investments strengthen our commitment to the development of the country’s airports. We sincerely look forward to the progression of flight and ground operations at Clark as well as a furthering of incentives that Clark will offer to the carriers,” says Atty. JR Mantaring, CEB Vice President for Corporate Affairs. Did you know that you can create short links with Shortest and make cash for every click on your short urls. May Piso fare po from Manila to Zamboanga City for December 24, 2017 to January 2, 2018? Cebu Pacific is HIRING Cabin Crews!